Momma Told Me: Every mile is a memory. My first road trip was at 17. I packed up the back of my very first car with 'all' of my worldly belongings and my best friend and I squeezed ourselves into the front for a 2,986 mile cross-country drive spanning a total of 50+ driving hours. We made it to our destination, my new home at the time, in just 3 days alternating driving shifts and stopping only for one night at a hotel. Some may argue that's not much of a road trip. Sure, we got the driving part down but we didn't truly have a chance to do more than stop at rest stops and highway signs for a quick photo-op here and there. At the time all my teenage, star-crossed, romantic heart could think about was getting to my high school sweetie for the Summer. It's not my fault, really- nobody ever taught me how to road trip. So, while my first real road trip wasn't exactly an epic one, the freedom of an open road and the roar of a purring engine is something I've since courted many times since. In fact, ironically, I will always drive to a destination unless it is entirely impractical. Just ask Momma, who had to literally buy me plane tickets to convince me not to navigate the ice filled passes of Oregon last fall. There is a freedom about traveling in a car, a plethora of options presented by the prospect of charting your own way, and a world of discoveries which accompanies a road trip. So I might not have always been the 'road trip expert' I am today- but, as someone who road tripped over 3,500 miles last year, I have learned a thing or two about rocking the road trip. 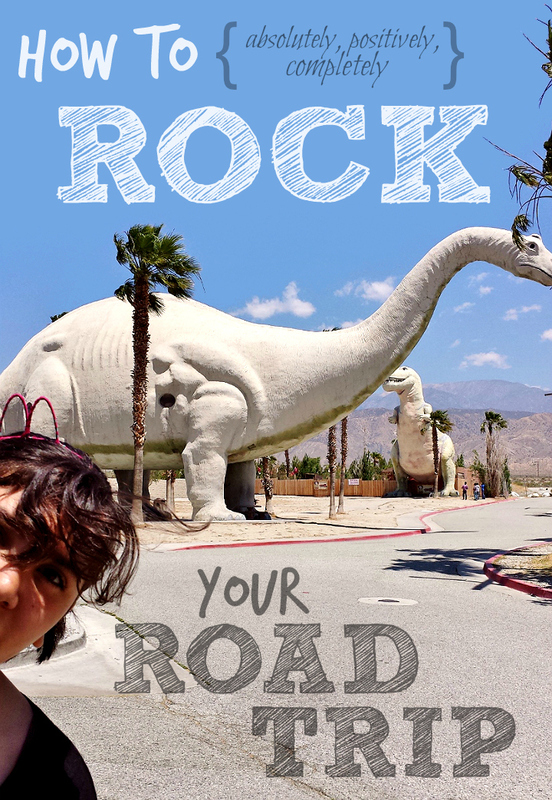 Let me share with you some of my best advice to maximizing every mile and memory on your next road trip! Check that your vehicle is stocked with an emergency roadside kit, including a jug of water. 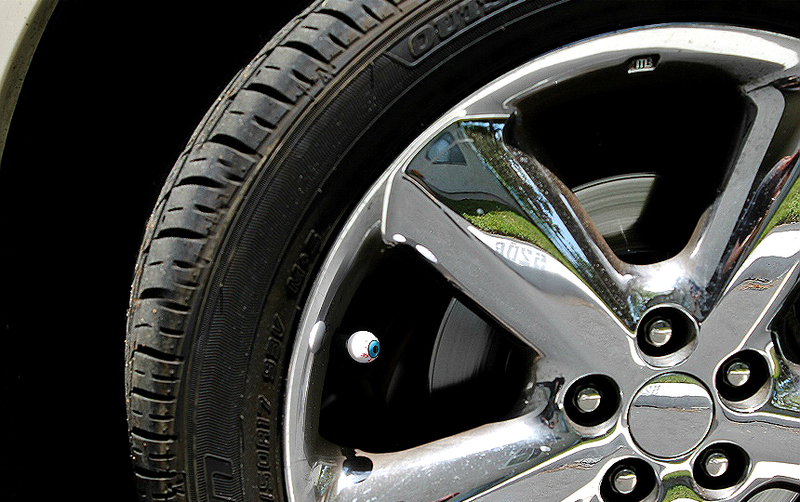 Inspect all tired for missing valve stem caps, low tire pressure/leaks, unusual wear and ensure that your vehicle is equipped with a viable spare. 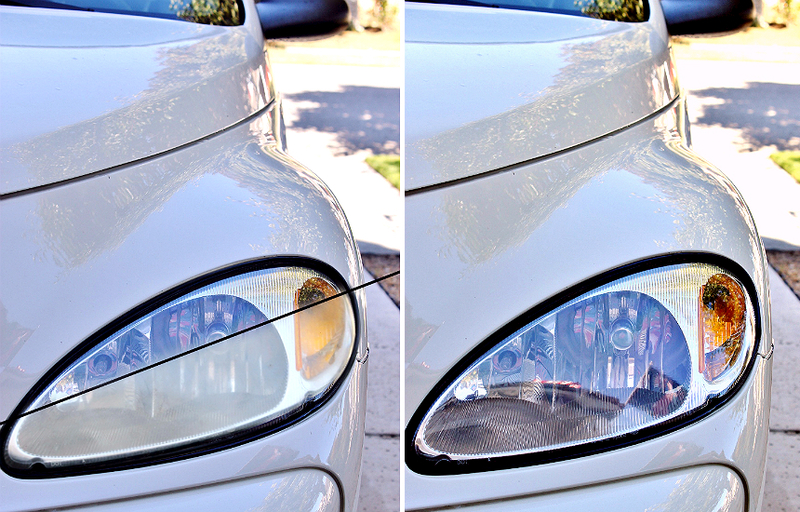 Inspect your headlights- Do they appear fogged over from age? You may want to spend 30 minutes to refurbish them. Fogged headlights are not just an eyesight, they are a safe driving hazard and significantly minimize visibility in night driving. Check that your windshield wipers do not streak and that the rubber is free of cracks, nicks, or dried out sections. While you may not be driving somewhere where rain is anticipated your windows may require cleaning while on the road and streaks or poor functioning wipers can cause issues with road visibility. If your car is near due for an oil change, or will be due (according to mileage) by the time your return from your journey take your car in for an oil change prior to heading out on the road. Having your oil changed at a Walmart Automotive Care Center is not only convenient and affordable but helps provide a peace of mind towards ensuring your car is at it's best before piling on those road trip miles. Bring your car in for a Pennzoil® High Mileage Vehicle® or Pennzoil Platinum®: Full Synthetic Motor Oil with PurePlus™ Technology vehicle motor oil change at the Walmart Automotive Care Center and ask to have your vehicle's other fluid's checked and topped off, as well as your tire pressure checked for free! Once you've ensured all the moving parts are ready to hit the road you'll want to make sure the inside of your car is road trip ready too. Road tripping can often lead to a myriad of messes, odors, and just plain funk inside your car as you trek new terrains in and out, eat fast food curbside, and even live out of your car! A contained trash disposal system is a must and my 'Gift Bag Trash Bin' Car Hack is a genius way to not only stash your trash in style, but organize those cigarette lighter charging cords too! 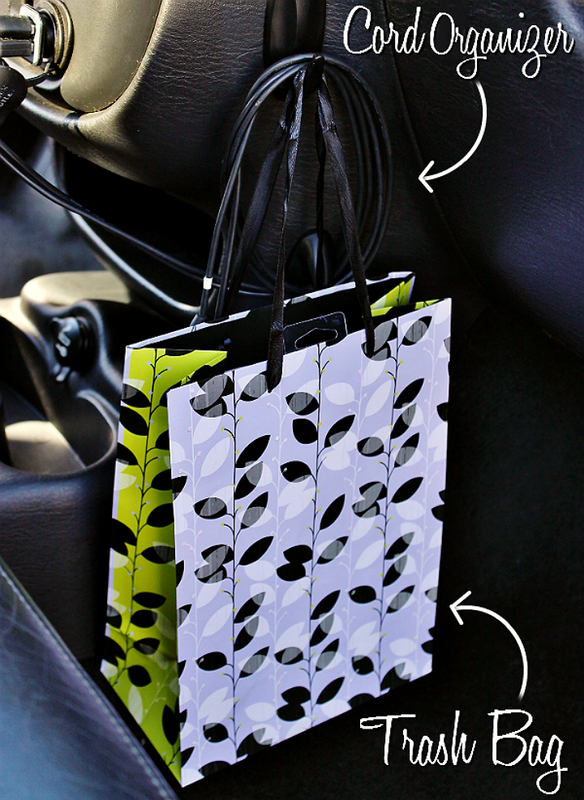 The best part- a small gift bag is an affordable item you can replace anytime your 'trash' bin gets a little too grungy! 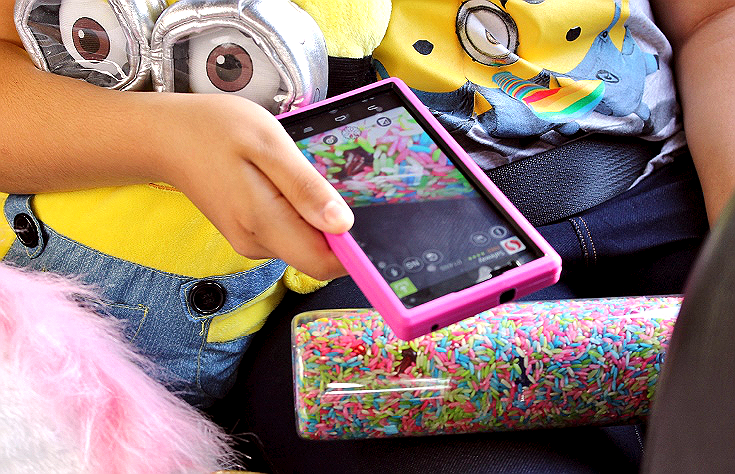 If you're taking littles along for the journey you'll need to keep them entertained. When packing car travel activities for children keep in mind the motion tolerance of the passengers. Some kids do best focusing on something static directly in front of them, while others need to feel as though they are in an open space with lots of movement. Nobody wants to pull off the side of the road so someone can toss their cookies! 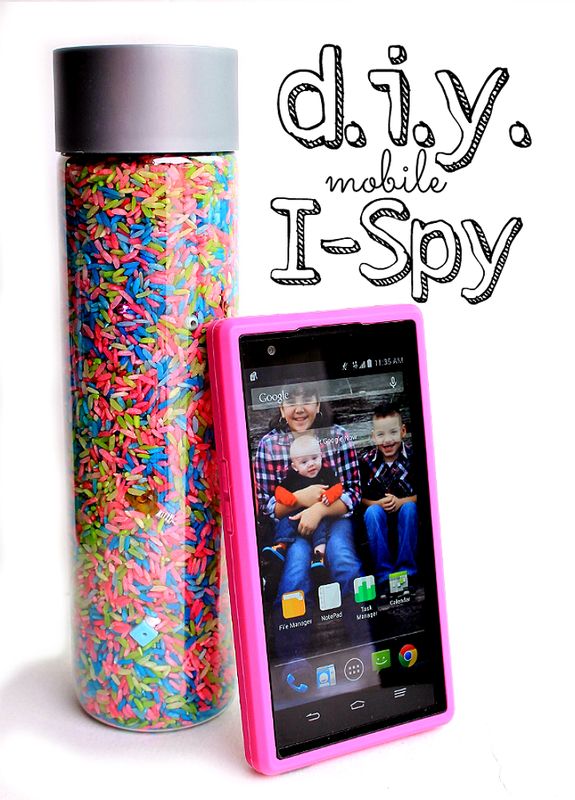 For a fun, cheap, and endless backseat activity check out our D.I.Y Mobile I Spy game! Drive connected, but safe. Technology is a blessing for the modern road tripper. Nearly any corner of the country mapped by a highway will yield a cell signal- but sometimes drivers become a little too reliant. Make sure to bring an extra charging cable, spare smartphone battery, hands free communication device, and smartphone mount on your journey. 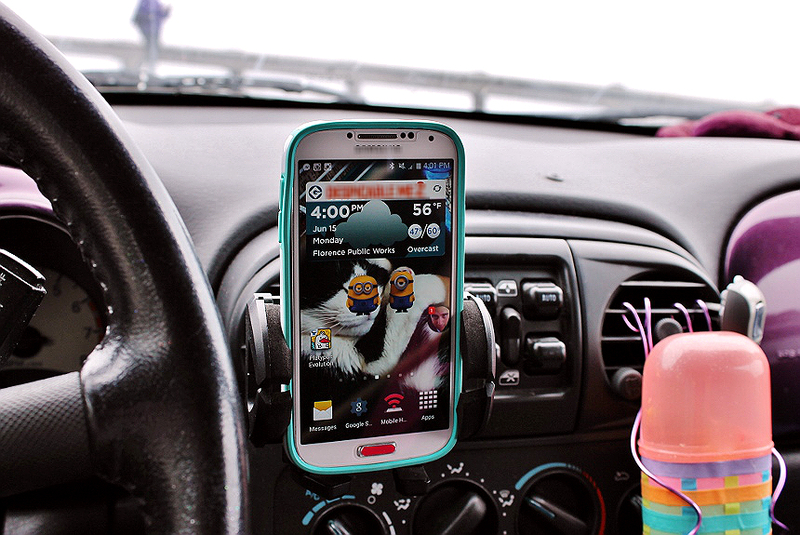 You'll likely be referring to your phone for navigation from time to time, if not the whole journey. Keep in mind, as amazing as GPS maps are, they're not always entirely accurate. Most importantly, if you feel you are lost or have missed a turn don't panic! Pull off the highway, at a public place when possible, and gather your bearings before heading back out on the road. 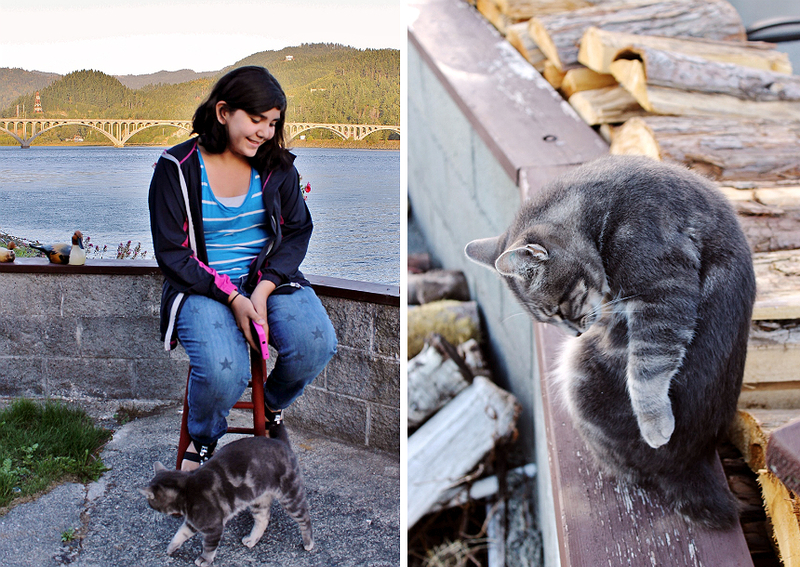 Last Fall Sabrina and I drove the Pacific Coast Highway up to Portland, Oregon. We stopped for every sunset, looking for a quiet, yet scenic place to grab a soda (or water in my case) and soak in the locale before checking into our accommodations for the night. Since I was the driver it was her job to keep an eye out for something she wanted to explore or take in- on one particular night a beautiful bridge caught her eye and we pulled off at a bed and breakfast that was closed for the season. That's where we met and befriended a gorgeous feral cat we nicknamed and still reference to this day! Hotels are great when traveling to a destination and staying for an extended period of time- but, on a road trip, the point should be to maximize experiences collected with something new and unexpected. 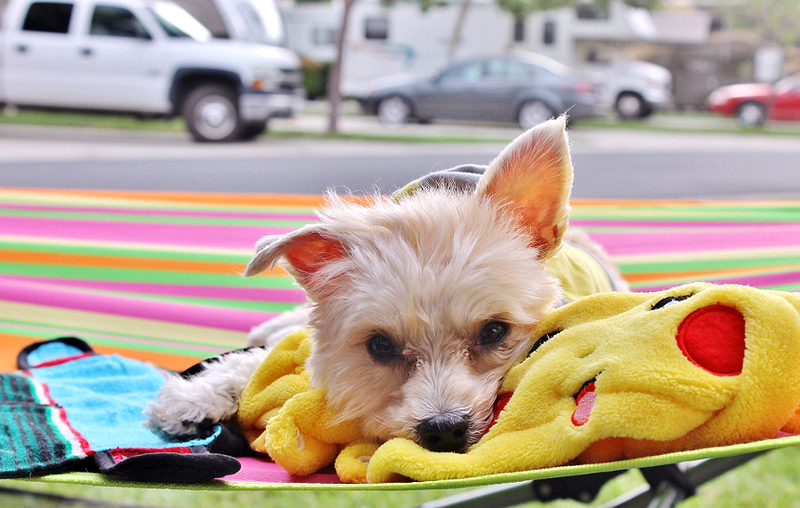 Consider booking a campsite, bnb, timeshare, or beach house rental for an evening when seeking respite on the road. 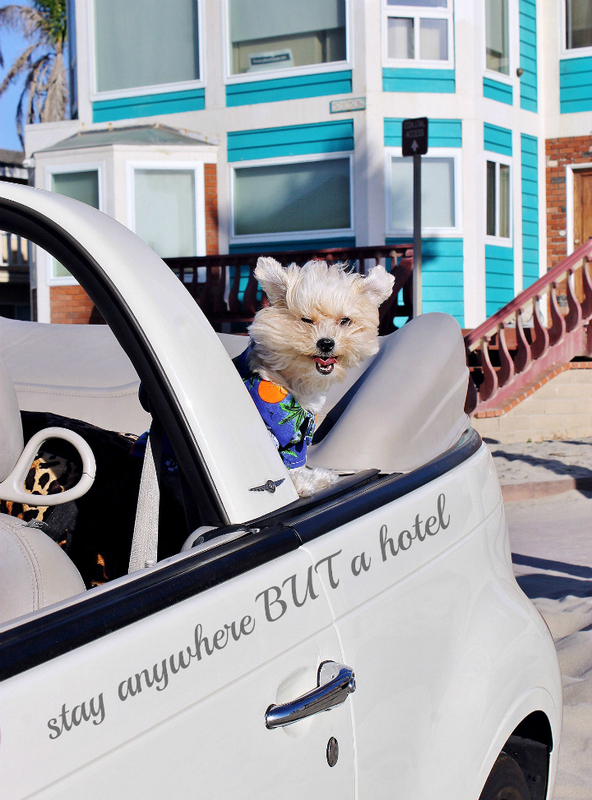 Most often people road trip on a budget and end up booking value hotels. While you can sometimes find a gem at a great price, you're not truly expanding your world by staying in a cookie cutter chain hotel while on the road. Yes, for road trips, seek out unique and alternate accommodations to add to your journey's story. Bring soap. Bring baby wipes, wet naps, soap bars, hand sanitizer, and pretty much any other convenient portable cleanser you can pack. 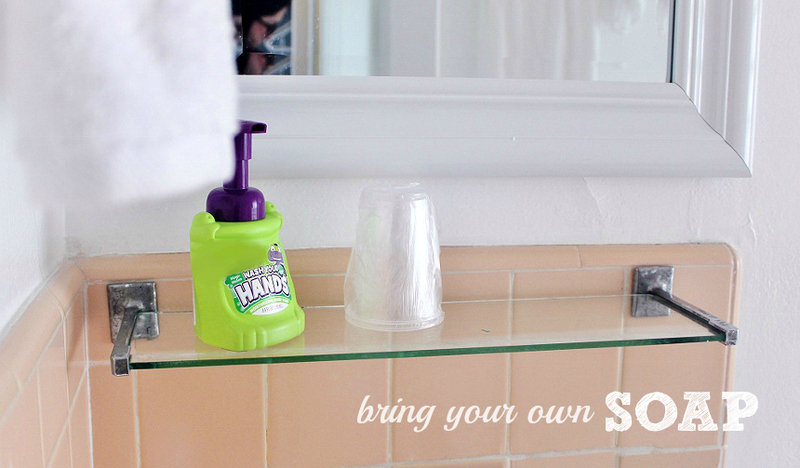 When I go on a road trip, or travel anywhere really, I always bring a new bottle of hand soap. If you're planning on staying in a hotel- does anyone REALLY like those mini itty bitty complimentary bars that slide all over the sink and stick to the porcelain? And, if you're traveling on the road- is soap always available at every restroom and rest stop? Having your own personal soap and cleansers on hand help keep you feeling clean while traveling, and feeling clean means you feel more alert and ready to enjoy your trip. Don't over pack. Whether there's 1 person or 4, whether you're in a compact car or an SUV, the endless clutter seems to pile up the further down the road you go. Pack smart and pack only what you'll need. If you're on the fence about something you probably don't need to pack it. If it turns out you did, you can always stop at a store along the route and pick it up. The exception being, of course, those planning on traveling extremely rural routes. 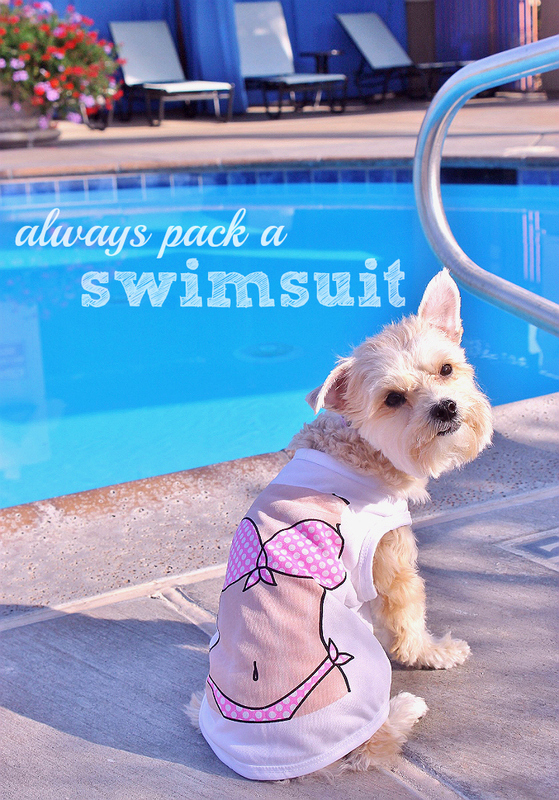 While this may seem contrary to the above tip, always pack a swimsuit. Unless you are the sort who simply never ever wears a swimsuit or touches any body of recreational water, no matter what, this rule is important. Think about it. How many times have you gone away for the weekend, visited family, taken a road trip, or planned a business vacation thinking 'I'll be nowhere near a pool' then BAM everyone's heading to a pool and you don't have a swimsuit on hand? Whether you decide to take a dip in the lake at an impromptu stop, or wind up crashing at a bnb with a pool, you'll be thankful you had the option to toss one on. So there you have it. My best tips for maximizing your road trip and getting the most out of every mile. With road trips the vacation is in the 'getting there,' as they say. If you're hopping in the car dreading every mile and just waiting to reach your destination then consider taking a plane. Road Tripping isn't for the weary of heart, but the rewards of an open mind and open road are bountiful. Just make sure you pack smart, drive safe, and get your car road ready with a Pennzoil vehicle motor oil change from a Walmart Auto Care Center near you. 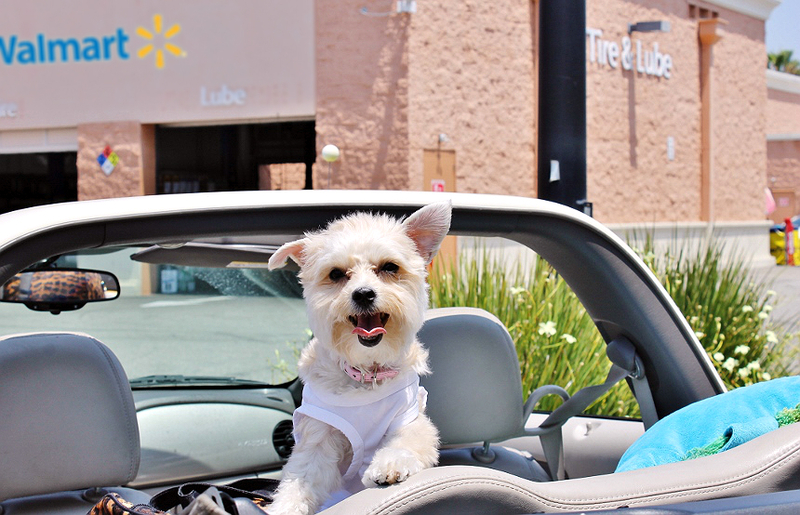 Now, tell me, where were you headed on your last road trip, or where are you headed next? 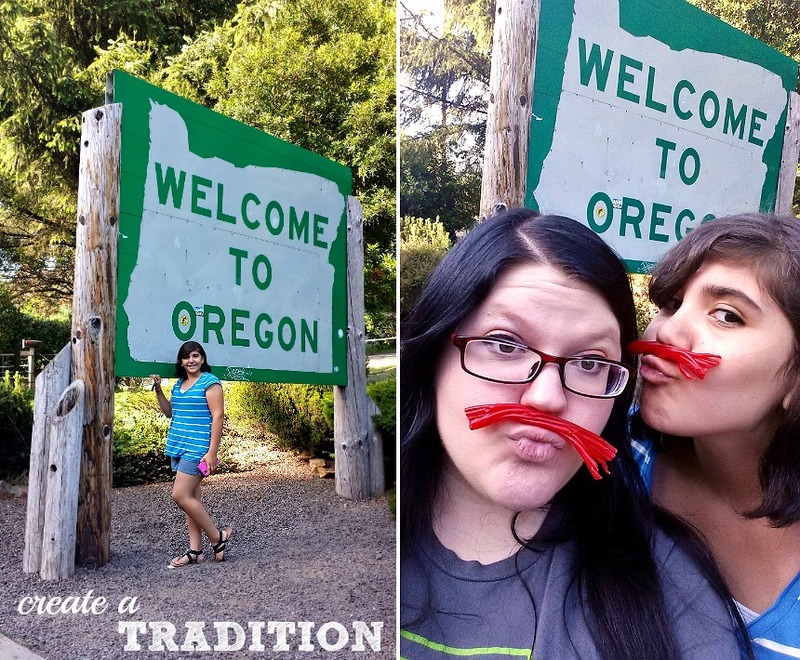 What Daughter Says: Road trips are all about the journey- make memories and plan a road trip for your next vacation! I don't think I've ever really done a real road trip. Yea, I've driven long distances, but nothing overly exciting and certainly nothing for leisure. I really need to plan one and keep this tips handy. 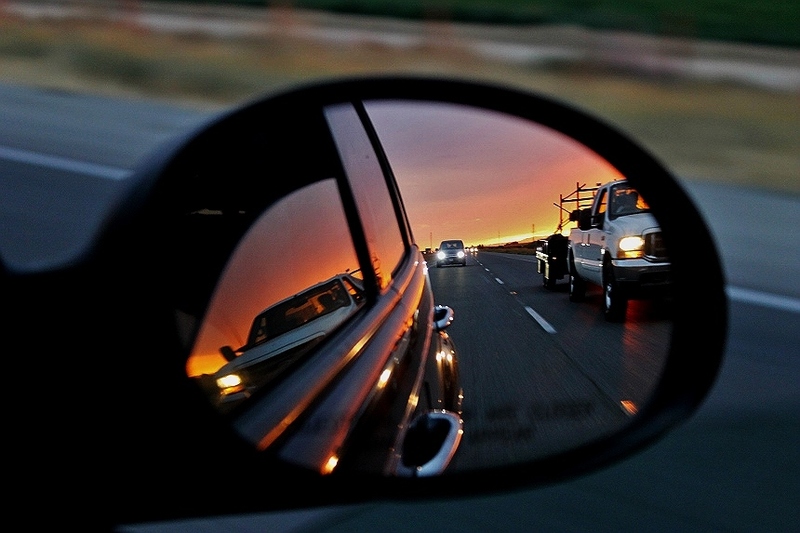 These are great tips on how to rock a road trip. I need to work on the not over packing part. Road trips can be so much fun. These are all wonderful tips. We try to have our vehicle serviced before we leave on our trips. I love road trips!! We have done a couple this summer much easier to do now that my kids are getting older. This is all great advice! We love road trips. I like those great advice on road trips. What great images and tips! I also carry my soap everywhere I go. I love your advice on the hotel accommodations, great way to experience new things! Okay- first off, I can NOT get over your cute doggie! I want to die but I looooove road trips! I am starting to go on them more and love that my daughter is old enough to start enjoying them! Great tips! I adore road trips but my husband isn't a huge fan so I don't get many of these days. Fun post. Road trips are always so much fun. I always make sure I pack a ton of snacks and drinks. Tablets are a great way to keep the kids bust while we drive. My bucket list includes driving the famous route 66. That would be a fun road trip!